I often get into debates with people about women in Islam. How we dress. How we don't dress. What we think or don't think or should-be-thinking. I get into debates about feminism. What it is and what it isn't. I think I've spawned permanent foes because I don't care to apply the label, feminist, to describe myself. (I'm not one for labels, sorry. But if it's even required of me, "Muslim woman" suits me just fine.) But if we could agree for a moment that there exists a pure definition of the word feminist to mean: awesomely fierce to the millionth degree, then I'd like to introduce you to Islam's first feminist. Her name is Khadijah bint Khuwaylid. She was the wife of the Prophet Muhammad (peace and blessings be upon him.) And she is one of the people that I think about when I face or debate issues surrounding women today. Khadija's existence precedes mine by more than 1,400 years; and, if I can at the very least, continuously strive to emulate her character, I will consider myself a success in life. I would give anything to do an on-the-job, ride-along with Khadija. Gladly swipe my car for a camel- my laptop for a government-issued glass weight to measure goods in trade. What could I learn in one day of shadowing this highly-respected business leader, trading furniture, pottery and silks? Khadija was born to a father who was a successful merchant in their Quraysh tribe of Mecca. She inherited her father's skills in a time in history where society was male-dominated and dangerous. Upon her father's death, she took over the business and traded goods through the primary commerce centers at that time, from Mecca to Syria and to Yemen, hiring the most trustworthy men of character to brave the dangerous trade routes. Her business was larger than all of the Quraysh trades combined and the most acclaimed with a reputation of fair-dealing and high-quality goods. She had a keen eye and was highly intuitive, earning the monikers, Ameerat-Quraysh ("Princess of Quraysh") and al-Tahira ("The Pure One") due to her stellar reputation. Khadija knew what she was doing business-wise, never compromising her modesty or integrity to succeed in the male-dominated trades- hiring only those that could meet these standards. Glass ceiling? Hah! 1,400 years ago, yes, Khadija shattered it. If Khadija's story hasn't broken stereotypes about Islam yet, it might intrigue you to know that she was 40 years old when she married Muhammad. He was 25. Taking multiple wives was a common practice, yet Khadija and Muhammad's marriage was monogamous until her death 25 years later. Muhammad's prophethood began during his marriage to Khadija, when he received the first of God's revelations through the Angel Gabriel that left him frightened, strained and feeling alone when no one believed in him. Khadija comforted her husband and encouraged him during the most difficult days of his life. She bore him 6 children. He loved no one more than Khadija during his lifetime. 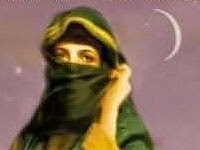 Khadija, the mother of Islam, was the first person on earth to accept Muhammad as the final prophet of God and accept the revelations that culminated into the Holy Qur'an. She was greeted with "Salam" (peace) by God himself as well as the Angel Gabriel. She bequeathed her worldly goods and put herself in the face of danger to stand by the Prophet Muhammad as Islam became established in the land. In Islam, whether rich or poor, one's financial condition is a test. Khadija gave her earnings to the poor and to the orphans, to the widows and the sick. She helped poor girls get married and provided their dowry. Khadija was one of history's most remarkable women. Prophet Muhammad (pbuh) once said that the four greatest women of mankind were: Khadija bint Khuwaylid, Fatima bint Muhammad (his youngest daughter,) Mary bint Emran (the Virgin Mary) and Asiya bint Muzahim (the wife of Pharaoh.) Khadija continues to inspire people to this day who revere her for taking great care of the Prophet of Islam and for showing the world, through her behavior, what a pious, modest and courageous woman can accomplish. The example she left for mankind remains timeless.